The success of the University’s strategic plan is predicated upon engagement across the University. 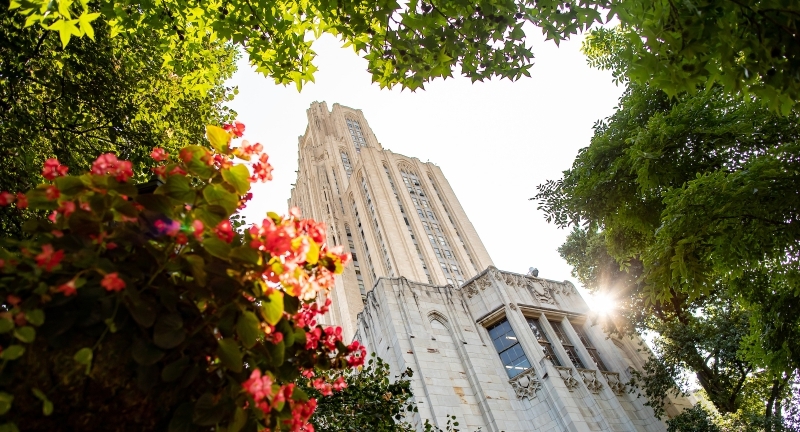 One of the focused efforts directed toward this engagement is the annual opportunity for faculty and staff to submit ideas for transformative projects that are directed towards supporting one or more of the six goals and associated strategies within the Plan for Pitt. 2. What are Pitt Seed Projects? Pitt Seed Projects are well defined actions that will play an instrumental role in transforming the University of Pittsburgh. Proposed projects can include a range of activities including: research ideas, academic programs, process improvement, diversity, community and industry partnership development, outreach, methods of teaching and learning, workshops, lectures, and enhancing the student experience. Faculty Applicants must submit letters from their respective Department Chair and the Dean of their school indicating support of the concept document and approval of any departmental resources committed. Staff Applicants must submit letters from their respective Unit/Department Director and Senior Vice Chancellor indicating support of the concept document and approval of any departmental resources committed. Any person who is interested in applying for a Pitt Seed grant must first submit a letter of intent by the due date listed below. After letters of intent are received, applications will open and will be due one month later. Letters of intent are required. Letters of intent are due Friday, Feb. 8, 2019, at 12 p.m.
Overview of your proposed project. Please identify the primary goals and strategies in The Plan for Pitt with which your project will align. Note: The letter of intent will not be adjudicated, but it is required that you submit a letter of intent if you plan to submit an application. The letter of intent was not required in the pilot year but will be required this year and every year going forward. After the deadline for the letter of intent, applications will open. Completed applications with all supporting materials are due by Friday, March 8, 2019, at 12 p.m. Team Members Please list all team members (including Principal Investigator), respective roles, and qualifications. Concept Overview Briefly describe the proposed opportunity and proposed actions. Plan for Pitt Alignment Indicate how the opportunity and proposed actions support The Plan for Pitt. Outcome If implemented, please indicate how you will measure success. Required Resources List the types of resources required and high-level cost estimates. Sustainability If relevant, please describe ongoing resource requirements and the sustainability plan once seed funding ends. Letters of Support Faculty must submit a letter of support from their Department Chair and Dean. Staff must submit a letter of support from their Unit/Department Director and respective Senior Vice Chancellor. Plan for Pitt Alignment – Proposals should support one or more goal/strategy within the University’s strategic plan. Proposals that support multiple goals/strategies are encouraged. Impactful – Proposals should clearly articulate the anticipated results/outputs/outcome of the proposed actions in measurable terms. Transformational – Proposals should emphasize how the opportunity and/or proposed actions are transformational and/or an area of distinction for the University. Transdisciplinary – Applicants are encouraged to reach across multiple academic and/or business units when developing a proposal. In addition, external partnerships with industry and/or the community will be favorably reviewed. A distinct advantage will be given to proposals that can demonstrate long-term sustainability as well as institutional support (e.g. matching funds) from other units within the or external to the University. Data: Examine the many ways that students provide data, and how the University uses it. Strategy: Serve as a leader in personalizing educational experiences of undergraduate, graduate and professional students, with attention to mentorship, advising and tailoring engagement to the goals of individual students. Strategy: Expand our computational capacity, human and physical, to meet research needs across a broad range of disciplines into the future. Strategy: Extend the impact of our research through application to practice, policy development and commercial translation. Strategy: Transform information infrastructure to expand our reach and better support recruitment, research, learning and operational efficiency. Collaborations: Forge partnerships with the local community and beyond to find ways for Pitt to serve as a support resource. Strategy: Promote access and affordability through partnerships with local school districts, increased voluntary support for student aid, improved time-to-degree for all students and expanded access to master’s and professional education. Strategy: Foster a culture of civic engagement, seeking to increase societal impact. Strategy: Connect our domestic and international pursuits to generate synergies that help strengthen our communities. Campus Climate: Create programs and opportunities that support a campus climate of inclusivity. Strategy: Enrich the student experience through engagement with diverse cultures and perspectives and expanded opportunities for study abroad and by integrating global perspectives in the curriculum. Strategy: Transform the campus climate to reinforce the value of diversity and inclusion as essential to advancing our teaching, research, community engagement and to enriching the student experience. Ensure that resources are utilized according to what is outlined in the concept document. Submit midyear and year-end reports to pittseed@pitt.edu indicating progress. If applicable, submit outcome metrics to pittseed@pitt.edu on an annual basis for a minimum of three years post-implementation. If you would like to learn more about the Pitt Seed grant process or ask questions, you may consider attending one of the information sessions below. * Note: The letter of intent was not required last year, but it is mandatory for all applicants to be considered this year. Please read our archive of Questions and Answers before reaching out. If you still need help, email pittseed@pitt.edu. Check out our question-and-answer archive on the Pitt Seed program.